I was born and raised in Sweden. Holmstad. Right there, southern part of Sweden. I moved to the Unites States in the 8th Grade and have been here ever since. I am visually impaired; I am legally blind in both eyes. I have a condition known as macular degeneration. It typically comes with age, but mine is hereditary. My stepmom, she’s visually impaired too and when – I’ll never forget the time we were in a Starbucks or something. She was doing work, I was doing homework, and we were both looking at our books really closely and there was a gentleman who came in - he was wearing scrubs, so clearly something in the medical profession. And its like, “okay" like, "let’s talk about this.” And from an early age that’s what I’ve kind of always been installed, you have to stand up for yourself. You do so respectfully. But you have to stand up for yourself. 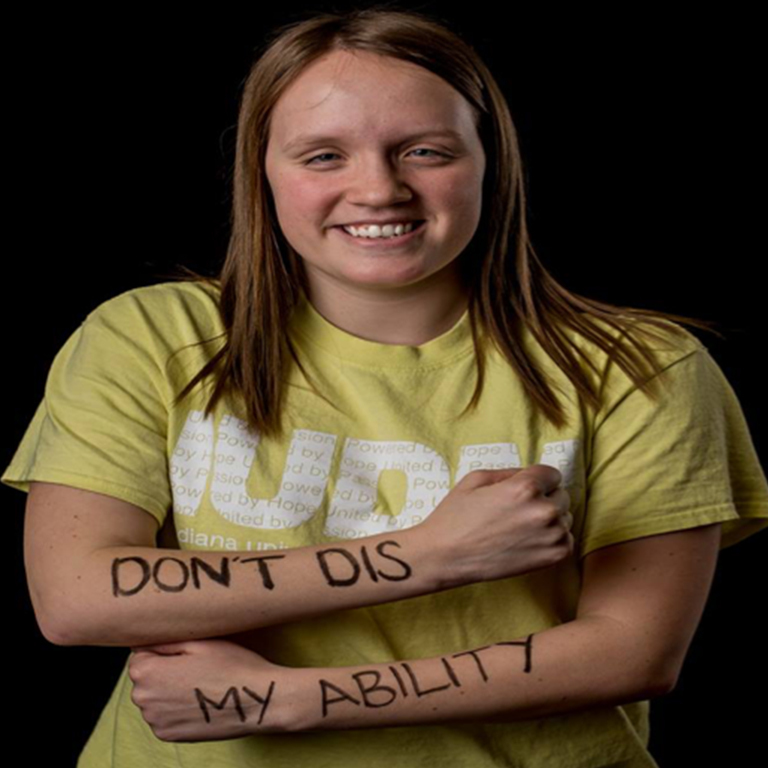 I think there’s a stigma in terms of disability in the United States in general and even at IU because people don't feel comfortable talking about it. And I think we should, you know it's okay to keep it private, but I think we keep it private because we don't want people to think of us any differently. And I think the more we are willing to talk about it and the more we are willing to express ourselves - that's when people are going to understand and feel more comfortable talking about it. And then kind of those mean, rude, inappropriate comments will kind of dissipate, because that's what people talk about when they don't feel comfortable with something, they say something mean or rude. Or they just stare. That's what I'm really familiar with: the staring factor. You know, especially at the library I get the stare a lot - because I'm the person who has the computer screen right there. Smells great, you know. That's when people just stare and don't want to say anything, but you - and they're like, "why are they doing something differently?" I think that has come into play a lot. So I think we need to talk about it, we should feel comfortable talking about it. I think we can go along with that because then we will learn and the we will have a great time all together. How do you make other people feel comfortable here? 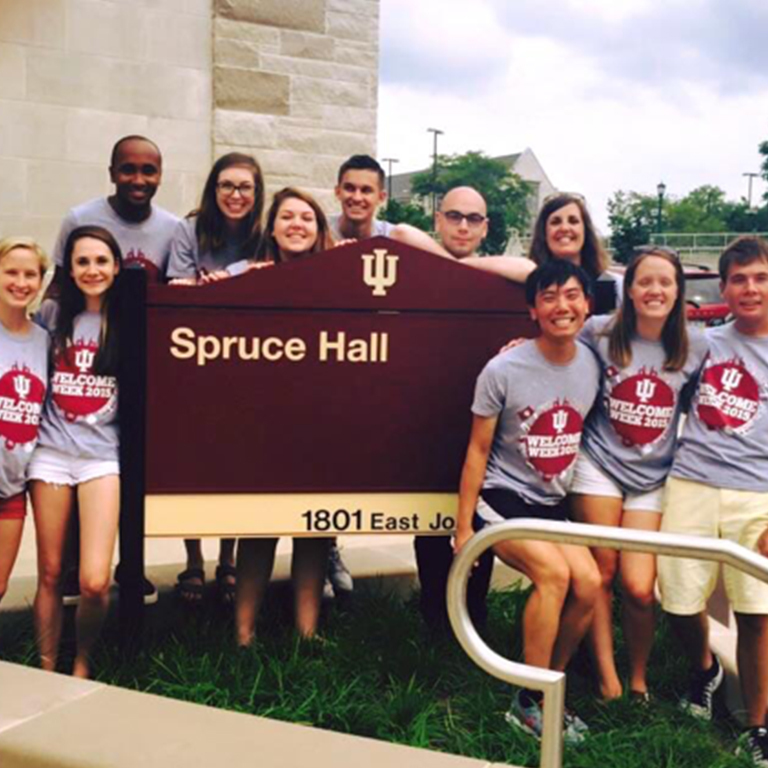 One of the greatest experiences that I've had during my time at IU has been working in the residence halls as an RA. And that has kind of played a lot to where I am today, and what I believe in, and where I stand in life - as deep as that could sound I guess. And a big part of that position and that responsibility was to make sure that everyone does feel respected and that they feel included. You don't have to like your neighbor by any means, but you do have to respect them. And that's kind of the mentality that I've always had and kind of helped me with the mentality to hope that I can make people feel included. Erika was not only attending a new school, she was doing so in a new country and with a hereditary visual impairment called macular degeneration. Needless to say, the first couple of years in high school were tough, but Erika found a group of extraordinary friends and began exploring passions such as sports and mock trial. She assumed she'd continue those passions at a smaller university but wound up at IU Bloomington. Looking back, she wouldn't have it any other way. After settling in, Erika immersed herself in the IU community, becoming a resident assistant in Spruce Hall, IU Dance Marathon Committee member, and a sister in the Alpha Sigma Alpha sorority. 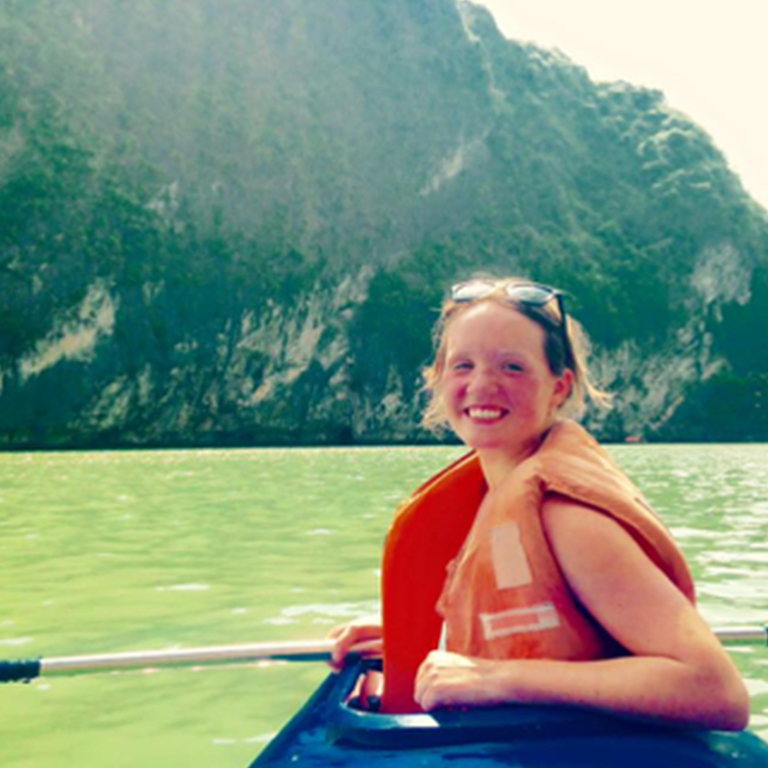 During her junior year, she traveled to Vietnam to enhance her studies in environmental management and sustainability. As if that's not enough, Erika also served as a campus tour guide, community manager in Union Street, and an intern for IU's Disability Services for Students.